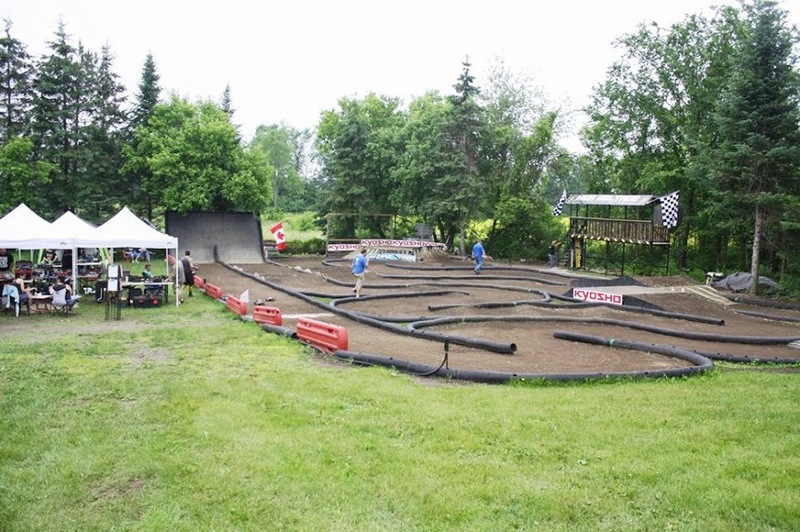 This week we are staying right here in Canada and headed to Hawkesbury, Ontario, where you will find High Voltage RC Track. The track layout is currently 60′ x 130′ and has a 8′ tall x 20′ long covered driver stand. The track has a watering system and is also equipped with a AMB lap system. This is a great looking track and it is easy to see the hard work and passion put into this track by the High Voltage Team. Check out that wall, this is a track I hope to visit this summer.